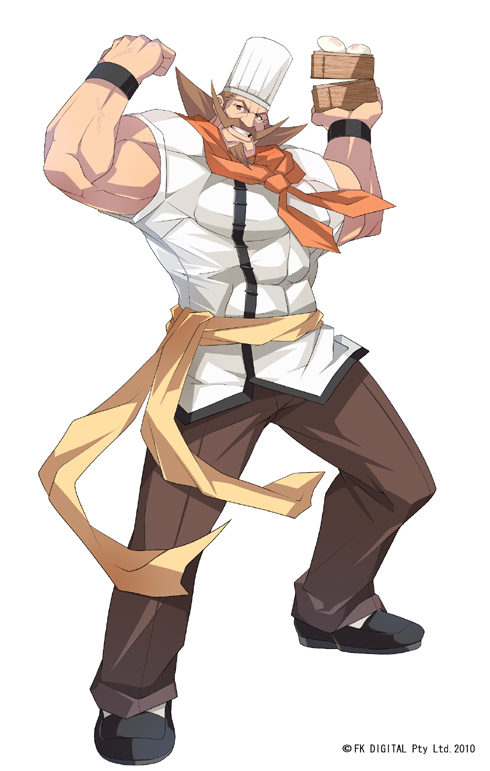 Bravo is an Italian chef who is enamored with Chinese cuisine, seeking Chaos Code to save his restaurant. 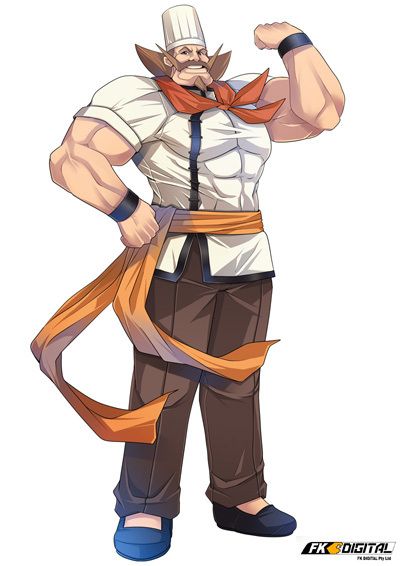 He's a powerhouse with combo-able grabs and solid range, setting him apart from the majority of fighting game grapplers. Uhhh... we're just mixing designs and proportions now. Bravo looks like a 90's fighting game character late to the party from the "me too" era of 2D fighting games (after Street Fighter 2 was released). A chef is not original. A strong chef who can fight... believe it or not... is not that original of an idea, either. To be perfectly honest, I don't enjoy looking at this design. He simply irks me. Yack.